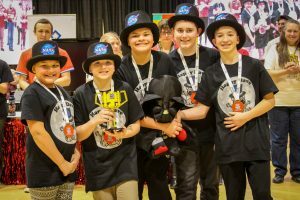 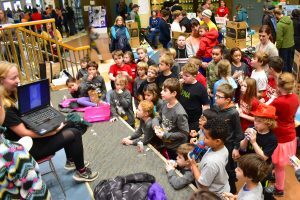 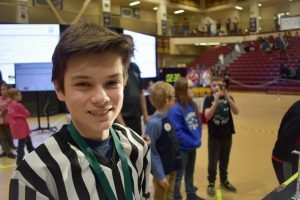 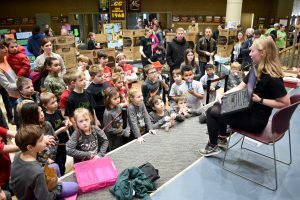 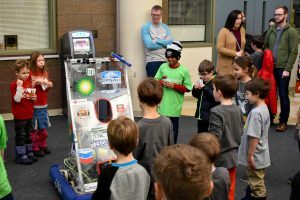 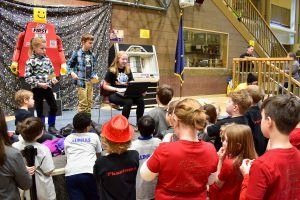 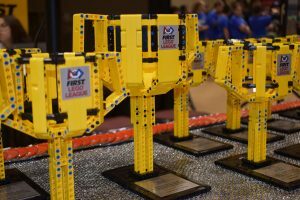 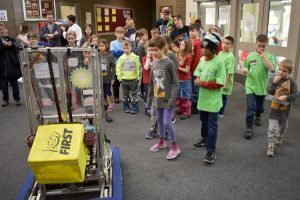 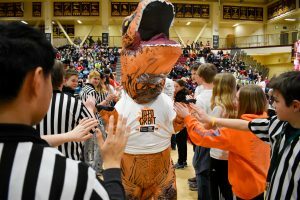 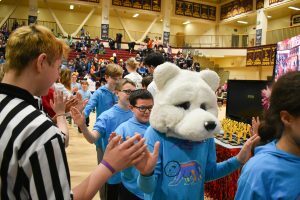 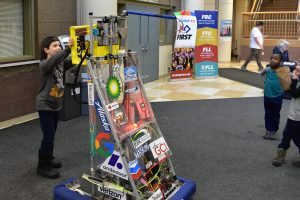 After a long and exciting season, the FIRST LEGO League Alaska State Tournament happened Saturday, January 19. 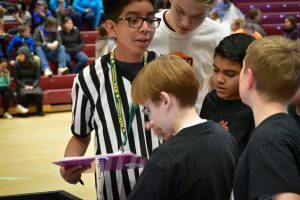 It was amazing to be there supporting and working at this event, and seeing all the teams that came from all over the massive expanse that we live in to compete and share an experience. 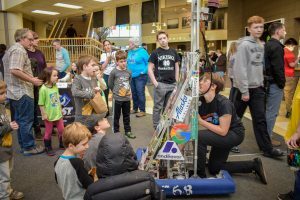 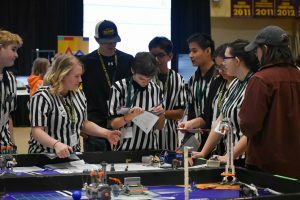 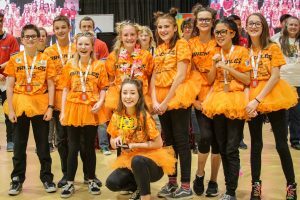 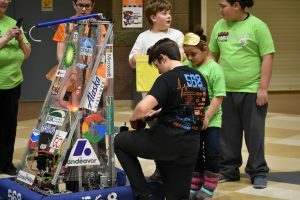 This year, we had one of the largest state competitions we’ve ever had, despite the earthquake we experienced a couple months ago that was a major setback to many teams. 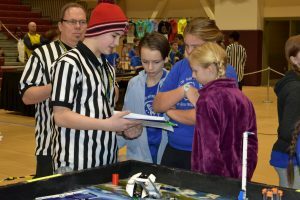 A large portion of our FRC team was there, volunteering at the event or helping in other ways. 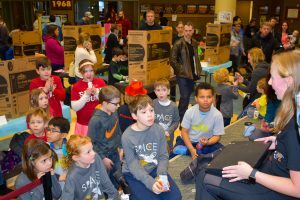 While many of us served as judges and referees, others on our team conducted a read aloud of our children’s book, Riley Robot and the Race in Space at the Jr. FLL expo. 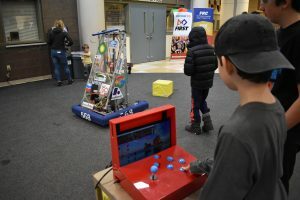 We also had volunteers showcasing last year’s robot and letting kids drive it. 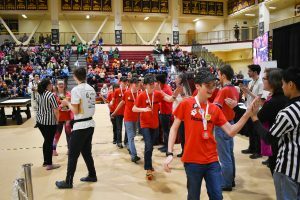 We were proud to take part in the opening ceremonies, as well, featuring our robot to highlight the progression of FIRST programs. 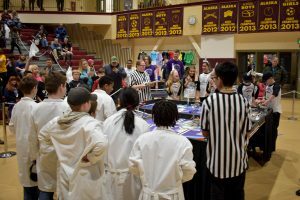 Several 8th grade students were excited about the potential of joining our team as Nerdlets this year to start training in for next year! 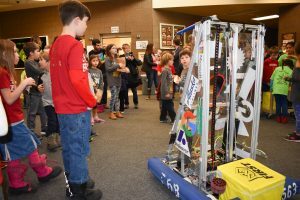 Over the course of the day, everyone had a lot of fun, and we were all glad to get the opportunity to work with and influence the children that are the up and coming generation of FIRST and STEM nerds. 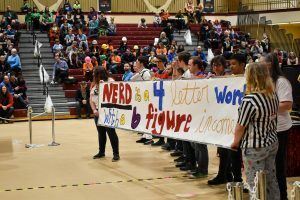 Speaking of which, there was one big takeaway from the competition: A nerd is a four letter word with a six figure income. 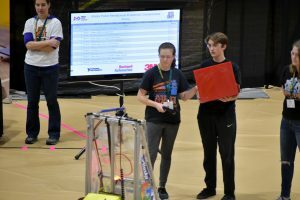 In the end, team 3953 Philosophers won the champions award and will be going on to Worlds in Houston to represent Alaska. 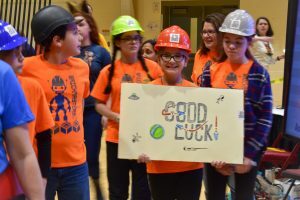 We all hope that they do fantastically!